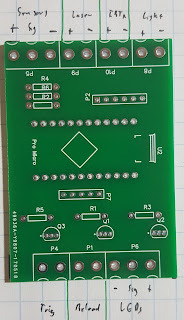 Control boards arrived but none have been assembled yet. 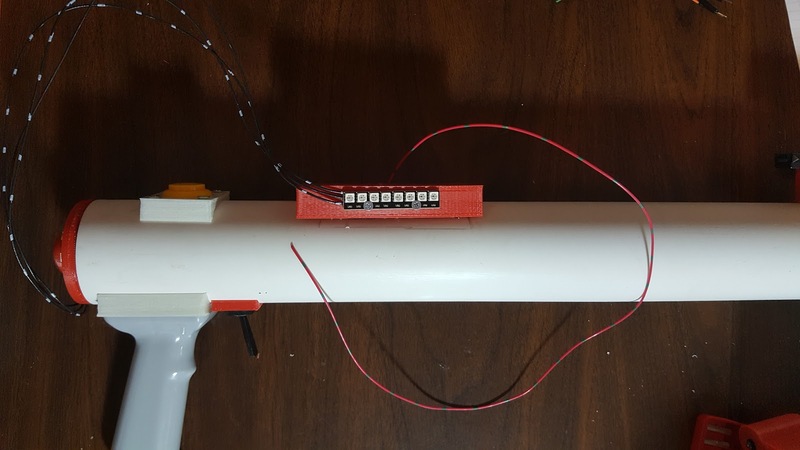 They are neat and professional but the layout may have been outdated so they could have problems like resistors that are too close together or transistors with backward silk screen graphics. Some of the screw terminals don't need labels, such as the trigger and reload terminals, which only need a switch. Some of the terminals, like the ones for LEDs or sensors, must be hooked up correctly on each wire. These were labeled on paper and photographed for reference. 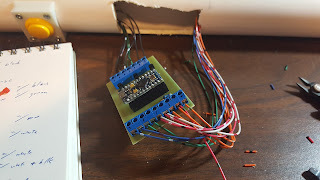 One of the two homemade control boards was wired into the tagger completely. All the terminations were made except for the external sensors. This particular piece of PVC will not likely be used for a tagger since some of the holes were not centered properly. Most of the kinks have been worked out so the next construction may be the first usable tagger. A rough assembly was done to make the tagger resemble a finished product. 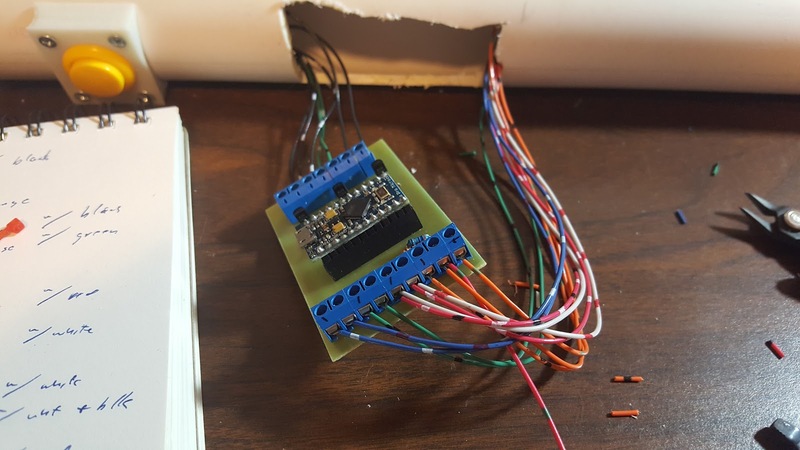 The wire for the sensors was run out of the USB hole on the PCB holder. 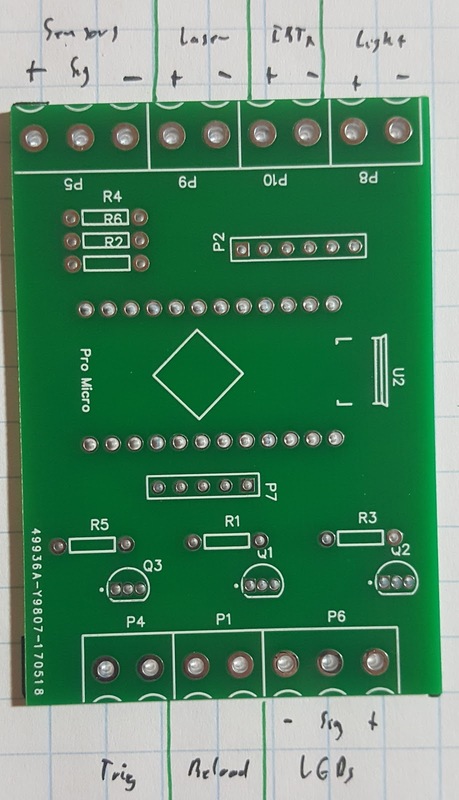 When PCBs arrive for the sensors this can be tested but there is already one sensor on the front of the tagger. I/O function has not been tested on this tagger with these components.